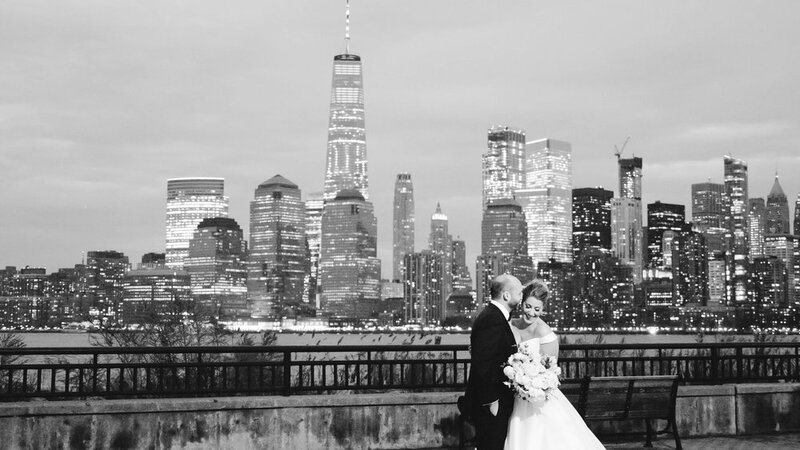 Jessica and Mark’s Park Chateau wedding was beautiful! They are such a fun couple who loved to have a good time, and their wedding day was no exception. The wedding was held over St. Patrick’s Day weekend, so they decided to have a “lucky in love” theme in the spirit of the holiday! They are also dog lovers, just like us, and they wanted to find a way to include their beloved dog Peter into the wedding—so they had poster cut outs made of their dog’s face, which were brought out during the reception to dance with! See, I told you they were fun!! 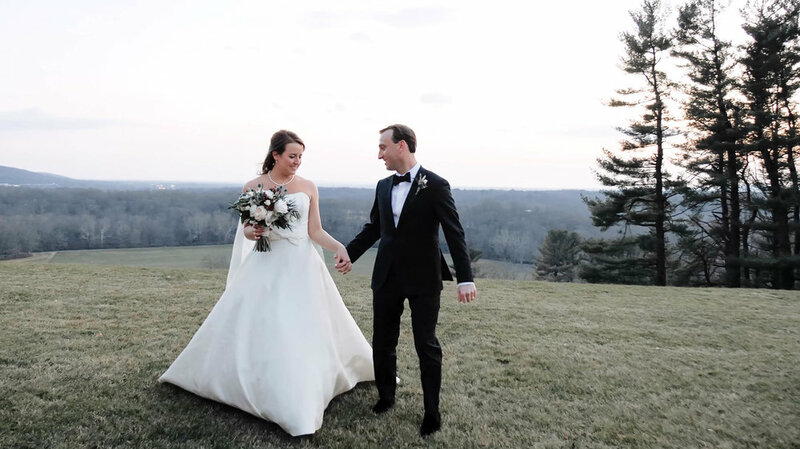 Emma and Matt’s Bear Brook Valley wedding was just beautiful! At age 14, Emma told her best friend that she was going to marry Matt some day…and now here they are as husband and wife! 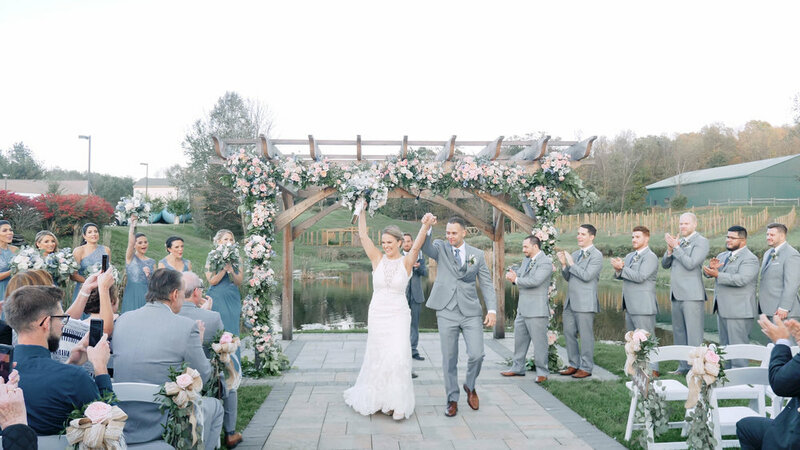 Their outdoor ceremony space complete with a gorgeous floral adorned trellis created the perfect backdrop for Emma and Matt’s commitment to one another! 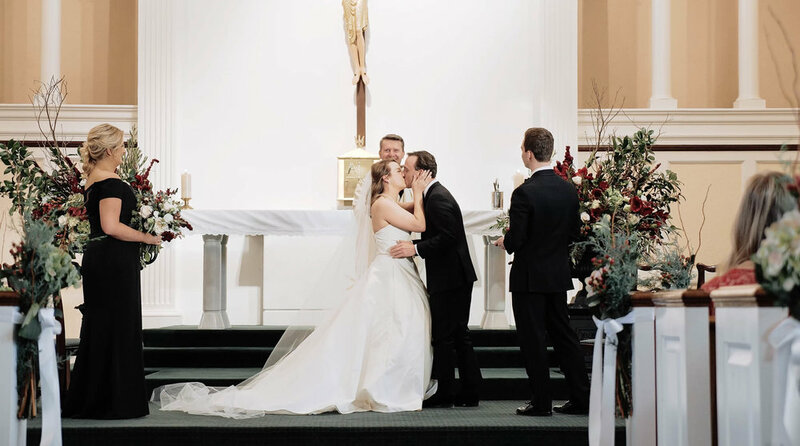 There were so many wonderfully emotional moments during their ceremony, like when Emma made her way down the aisle with her father and you can see the tears welling up in Matt’s eyes…so sweet! Then, when sharing their vows, Emma and Matt both used the term “you are my person” without knowing it beforehand! And we just love the moment when Matt wiped the tears from Emma’s face as she read her vows to him. 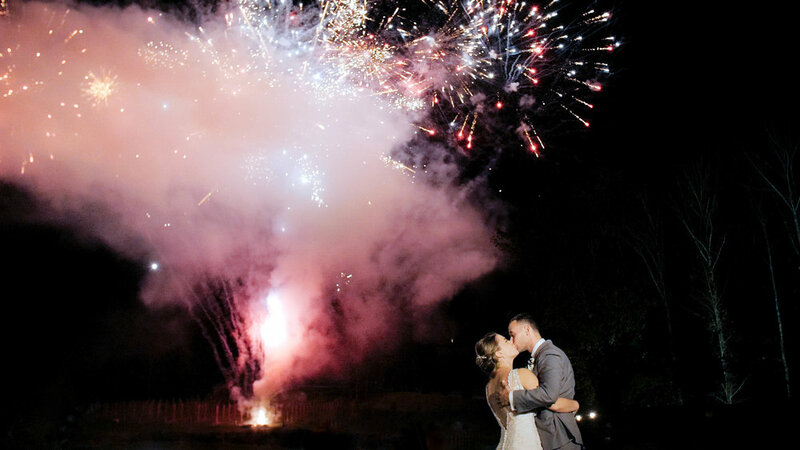 The evening was filled with dancing and fun, and the best part of the night was a surprise fireworks display Emma and Matt arranged for their guests! Emma and Matt’s love story started over 12 years ago, meeting in high school when Emma was a freshman and Matt was a senior. From the first day she met him, and after spending some time together for few months, Emma knew that Matt was the one! But, the timing wasn’t right, and they went their separate ways. A few years went by, and the two reconnected and started dating again…and this time, the timing was perfect! A few years later, Emma and Matt went on a trip to Punta Cana. They spent a fun filled day exploring on some excursions and enjoyed dinner at a hibachi restaurant, then they walked along the beach reminiscing about their relationship. On the way back to their room at the resort, Matt walked Emma to a beautiful gazebo that was situated on a bridge over all of the pools and proposed! 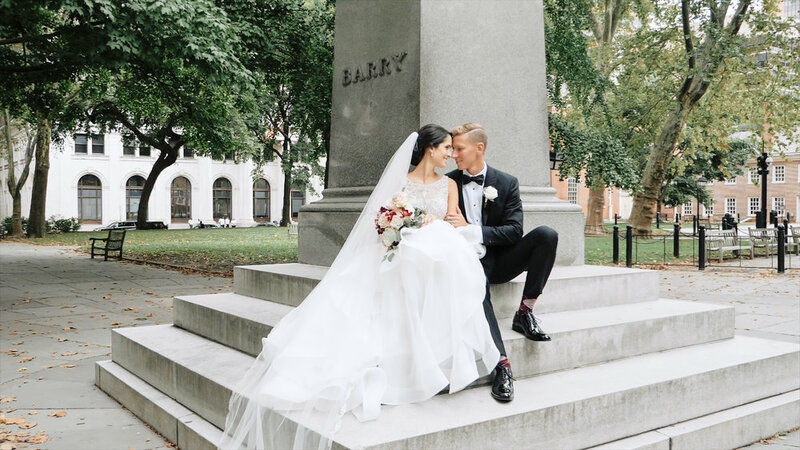 As teenagers, they said they would marry each other someday…and years later these high school sweethearts did just that! 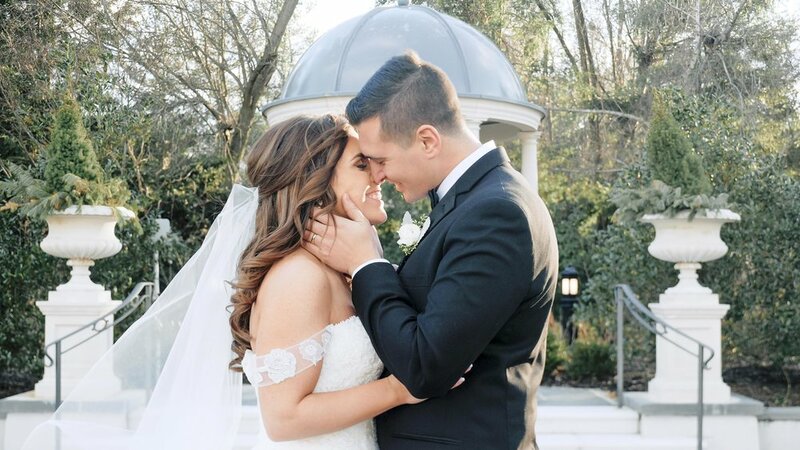 We were so excited to share in this special day with Corinne and Sean at The Mill Lakeside Manor, especially since their love story reminds us so much of ourselves…and Sean is a twin, just like Justin! Just a warning…you might want to grab a tissue for this one. As soon as you see Corrine make eye contact with Sean as she’s walking down the aisle, you’ll see why! The day began for Corinne at Breakers Hotel in Spring Lake, which was just the cutest beach hotel! Surrounded by her bridesmaids, Corinne’s bubbly personality infused the room with fun and laughter! Sean spent the morning with the guys at home in Point Pleasant, taking time to relax and celebrate his upcoming nuptials with his closest friends in between getting ready. 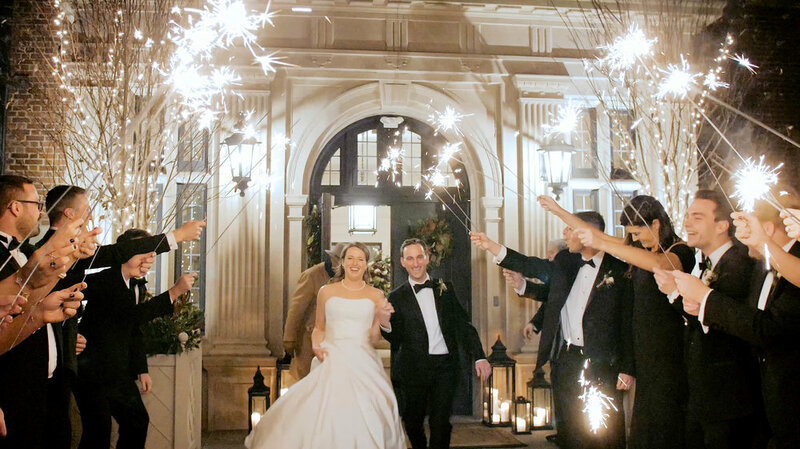 The love letters that they wrote to each other were filled with memories of the 13 years that they have spent together, and how now, the day of their wedding, felt like a fairy tale dream come true! 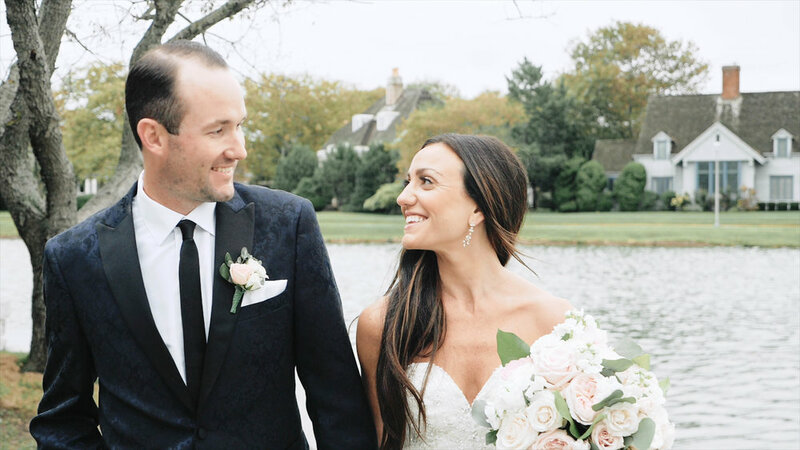 Corinne and Sean’s first look was held at Divine Park in Spring Lake, and we love that the second Sean turned around to see his bride, he just had to wrap his arms around her! When it came time for the ceremony, the sun finally appeared through the overcast sky, and their lakeside wedding was bathed in warm afternoon light, making it even more magical! 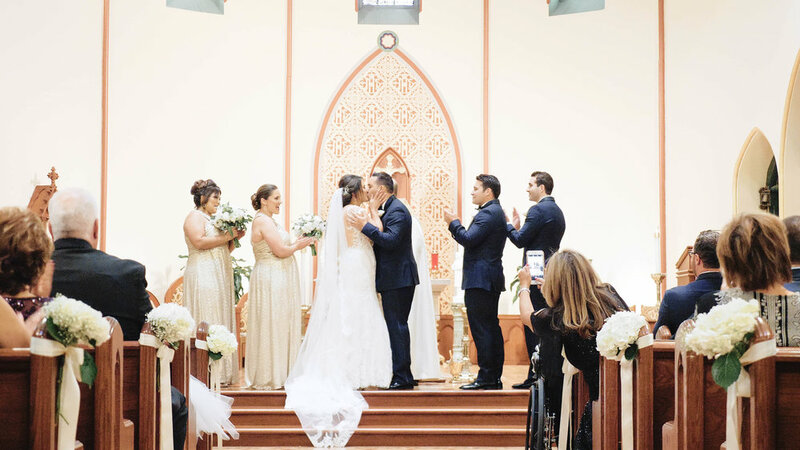 The couple even shared the sweetest personal vows to one another, and you can see a sneak peek of the video we put together of the two sharing them here. 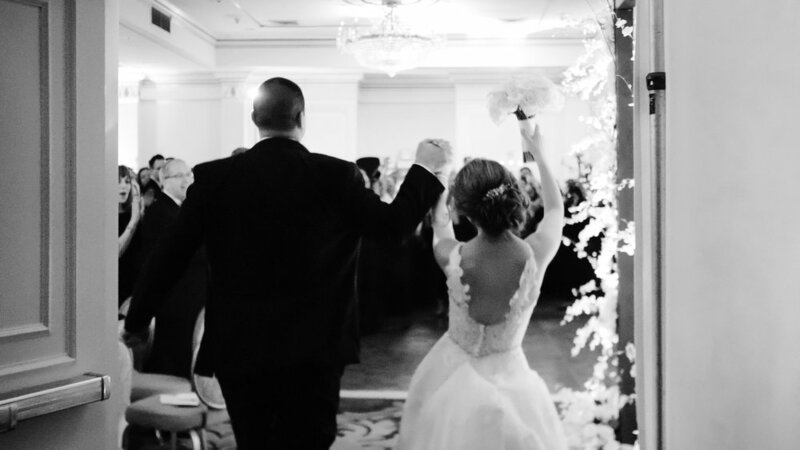 We LOVED that Corinne and Sean’s friends and family threw rose petals in the air as they walked down the aisle together, taking their first steps as husband and wife! Afterwards, we snuck out on the dock for some portrait time with the newlyweds just as the sun was setting to create some of our personal favorite shots of the day! 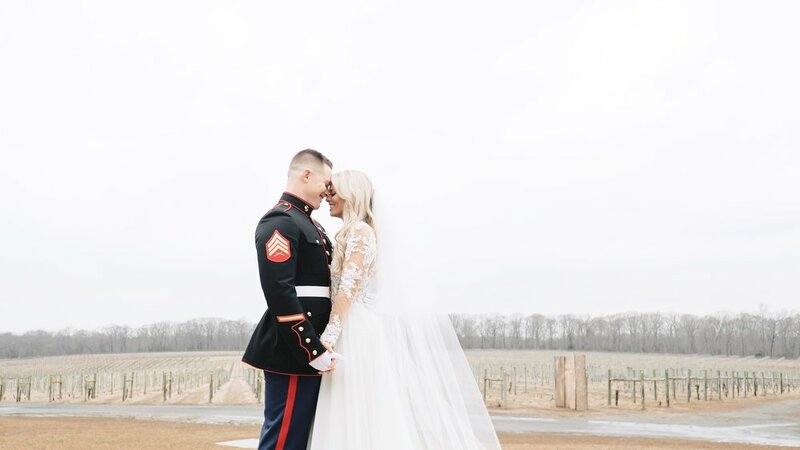 We just loved spending this special time with them as they danced and celebrated the fact that they were officially man and wife. 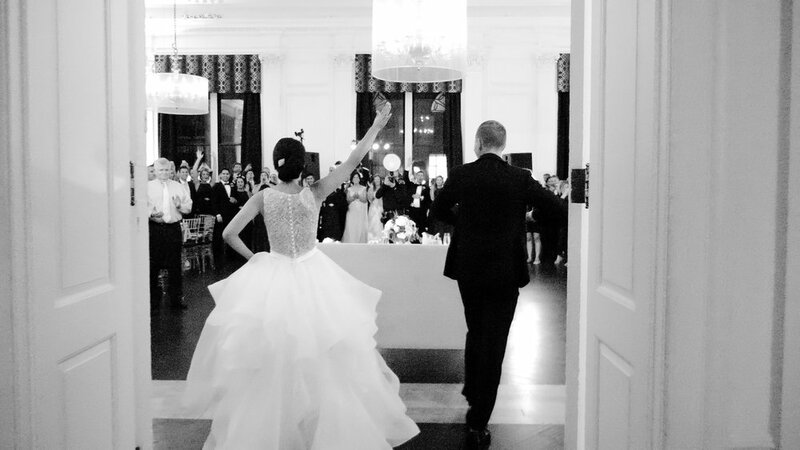 The celebration continued through the night during the reception, and we loved seeing Corinne and Sean’s friends and family dance, sing, and revel in celebration of their union!